Two 250 ml jars, nearly full. You know you’re special when you’re given something really out of the ordinary. 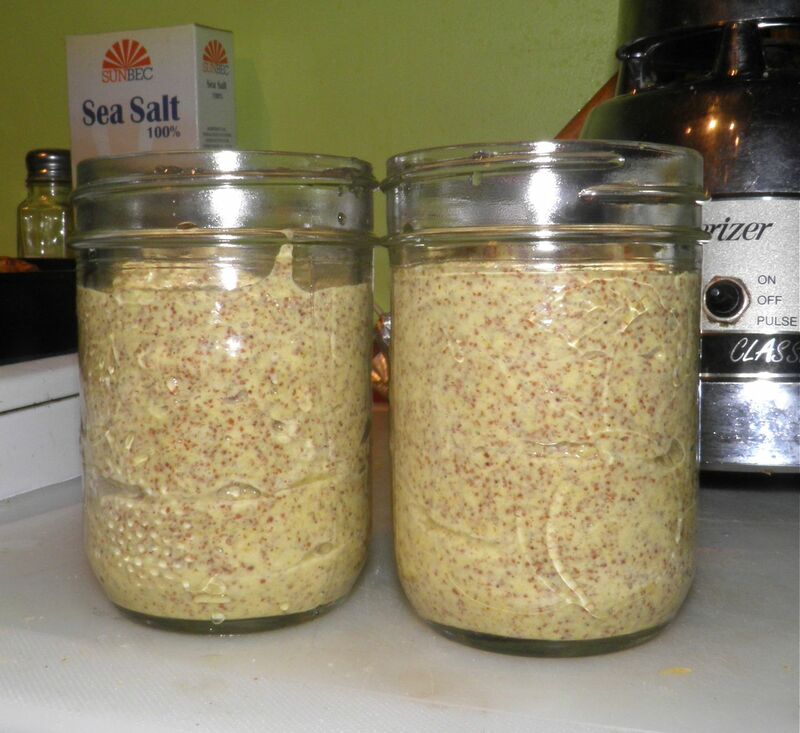 How much more out of the ordinary can you get than a mustard recreated from an ancient recipe? The Forme of Cury. Photo: University of Manchester Library website. This is an old recipe. Very old to be exact. It's from a medieval manuscript. Believe it or not, mustards are among the most mentioned sauces in surviving medieval food texts. Mustard was cultivated and eaten in Rome, was known in France in the late 700s, and in England and Germany by the 1100s. 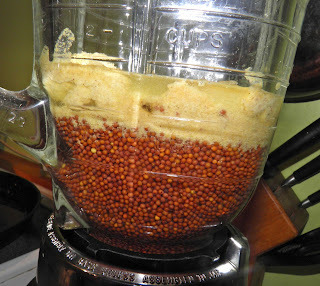 Like the Romans, medieval mustard was created by pounding seed in a mortar and moistening with vinegar. Differences occurred regionally as well as nationally. French mustards usually had spices. An English recipe of 1615 added onion and pepper. This recipe is English, but far earlier in date. 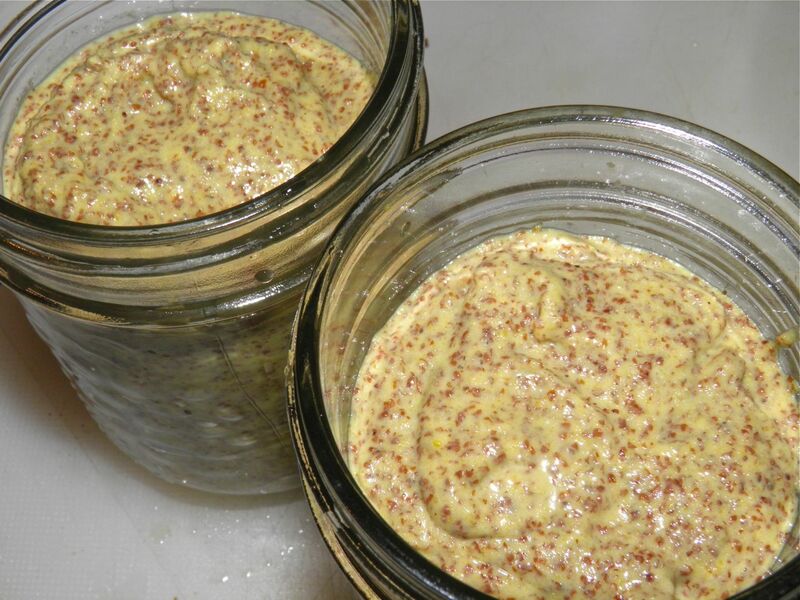 The use of mustard in medieval times was widespread. This had quite a lot to do with their health, or at least what they supposed would benefit their health. Up until the 1800s, medicine was a blend of observation and spirituality. This is illustrated by the medical theory of "humours." The theory stated that within every person there were four humours (principal fluids) – black bile, yellow bile, phlegm, and blood. These were thought to be produced by various organs in the body, and they had to be in balance for a person to remain healthy. As an example of their thought process, too much phlegm in the body caused lung problems. The phlegm wasn’t a result – it was the cause. The balance of humours could be realigned by diet, medicines, and blood-letting (leeches). 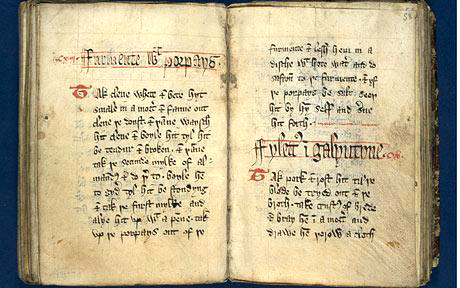 The Forme of Cury, 'the (proper) method of cookery,' is the best known surviving guide to medieval cooking. The surviving manuscript contains around 200 recipes, compiled by the master cooks in the Royal Household of Richard II of England. The original is now in the possession of the University of Manchester in the UK. They are currently digitizing it so we can all see it. The recipes outline the foods prepared for the highest classes, including stews, roast dishes, jellies, tarts and custards. 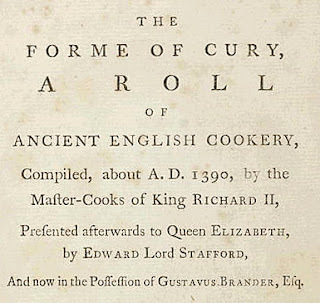 Contrary to what we may think about food for the rich, most recipes are rather basic by today's standards with little in the way of spice or sweetness. Take Mustard seed and waishe it & drye it in an ovene, grynde it drye. farse it thurgh a farse. clarifie hony with wyne & vynegur & stere it wel togedrer and make it thikke ynowz. & whan ou wilt spende erof make it tnynne with wyne. Got that? I think I do. 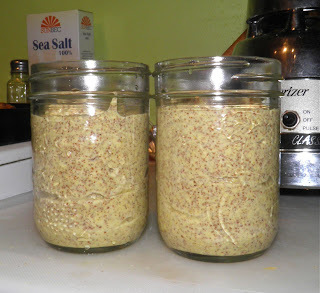 Just so you know, the wine vinegar only cost about $1.50 and the mustard seeds were $1.19. Pretty cheap for two most definitely gourmet gifts. somewhat as it ages. It beckons for ham. Place the seeds in small jar with a cover. Pour the white wine vinegar into the jar with the seeds. Shake and then let sit undisturbed for 24 hours. Place the seeds and soaking liquid in a blender or food processor with the mustard powder, honey and sea salt. Process to a paste consistency. Put in glass jars, and let sit at least 4 days before serving. The flavour will deepen over time.